Google’s Project Jacquard began as a fantasy that the search giant’s Advanced Technology and Projects division made reality: gesture-sensing fabrics built into clothing from jeans to jackets. It has developed in baby steps since its unveiling a year ago at the Mountain View, California-based company’s I/O developer conference, when it debuted in the form of a woven fabric patch. Now a veritable platform more than a year later, Jacquard has seemingly captured the attention of Google’s brightest minds, and the firm has just filed a patent with the U.S. Patent & Trademark Office for a “gesture control system” designed to work with so-called smart garments. 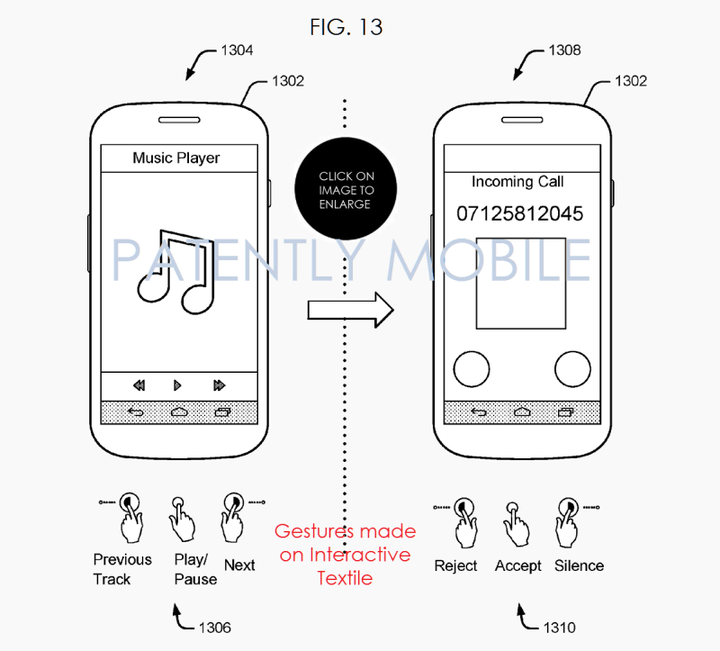 The patent in question is focused on “interactive textiles” — in other words, jackets, caps, jerseys, purses, shirts, and other bits of clothing able to recognize touch-based gestures — and, more specifically, means of input. A swipe along the collar of a connected shirt, for instance, could pause a video playing on television, while repeated taps on a capacitive kneepad could mute a stereo. 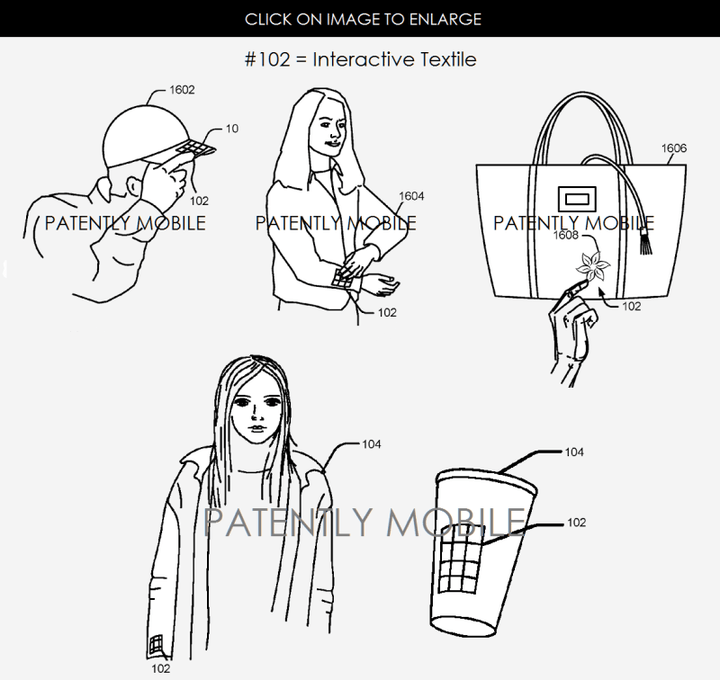 The potential’s endless, really: a handbag tap could launch a digital Macy’s catalog; a hat swipe could download the newest issue of GQ; and a glove gesture could set a connected home thermostat to a toasty predefined temperature. The conceit of Project Jacquard is simple enough: weaving touch-sensitive components into fabrics using conventional textile manufacturing processes. But achieving that vision took 10 months of intensive research. Engineers had to design custom yarn that could withstand the pulling and heating of the weaving process. They had to develop touch-sensitive threads that could detect the swipes, strokes, and taps of multiple fingers at once, and that could be woven into a patch by a loom. And they had to settle on a means of producing them at scale. A year later, though, they achieved their vision in the form of a Project Jacquard garment bound for brick-and-mortar stores. 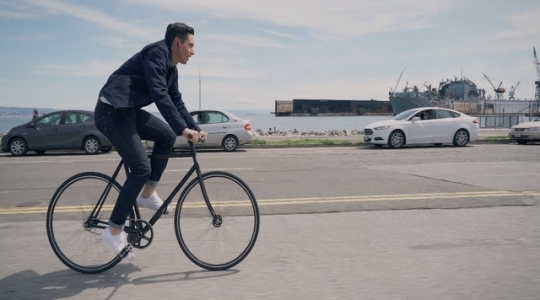 It’s called the Commuter, and it’s a denim jacket produced in partnership with Levi. Google’s tech assumes the form of a cuff strap: once strapped firmly to the jacket, the wearer can swipe across it or tap it to perform actions like pinning a location to Google Maps, answering a phone call, or dismissing text message. In the near future, it’ll be capable of far more: Google intends to release Jacquard’s API for use by third-parties such as Spotify and Strava. With any luck, it won’t be long before the rest of us get to see it in action, too.